Late 1st century BCE. Rabat (Morocco), Archaeological MuseumInv. Nos. 99.1.12.1341 / Vol 131. Cato the Stoic, late first-century BC bronze bust from Volubilis, a Roman colony in North Africa. 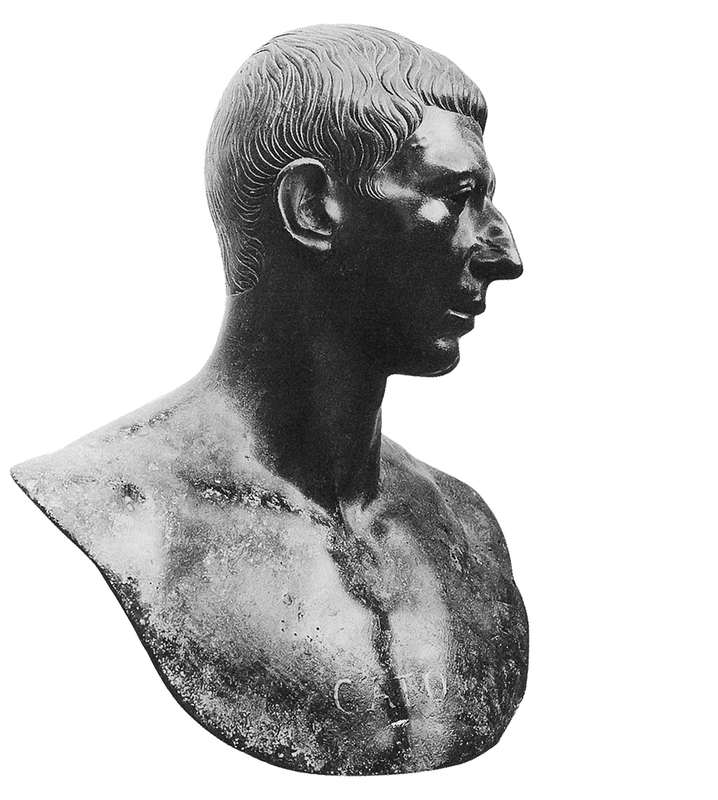 Since Cato died while he was in North Africa, there is a good chance that this bust represents Cato’s actual appearance at the time of his death. © 1995 Photo, text: Chris Scarre. Chronicle of the Roman Emperors. Thames & Hudson Ltd, London, 2002, p. 195.